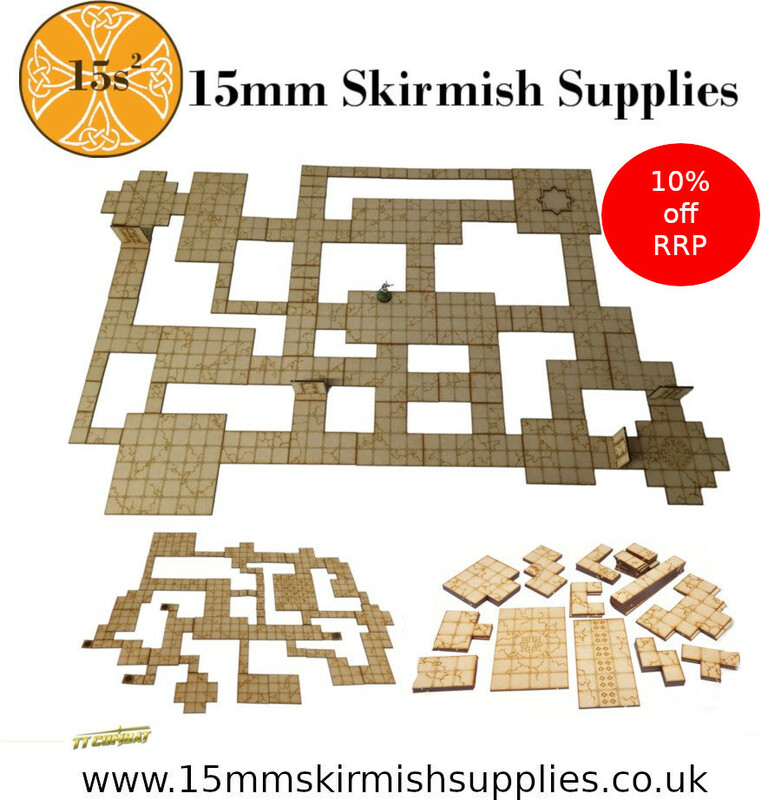 A one stop shop for your skirmish wargaming needs. New to the Store: TT Combat mdf Dungeon Tile kits. I'm pleased to formally announce a new product line to the store: TT Combat Dungeon Tile sets. Dungeon crawling - a Fantasy gaming and RPG staple. Monsters, traps and hopefully a chest full of loot at the end. Tested out for 15mm compatibility these are just the job. Made from mdf they take paint easily and have enough weight not to slide around the tabletop surface. There is a base set and 2 smaller boosters (although all can be used on their own). 10% off the RRP as well. All in the Terrain section. Never confuse the size of your warband with the size of your talent.